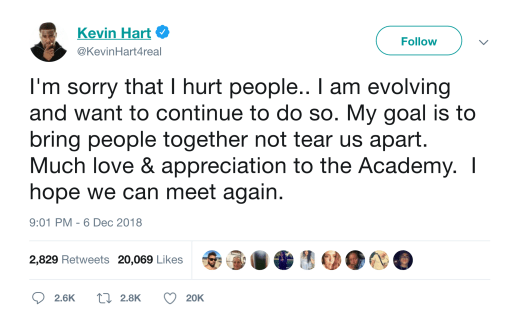 Kevin Hart will not be hosting the Oscars after all. 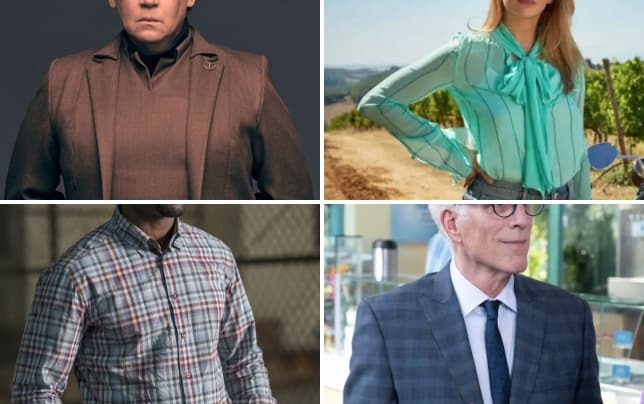 The actor/comedian took to Twitter on Thursday night to confirm the news which comes days after homophobic comments on social media came to light. 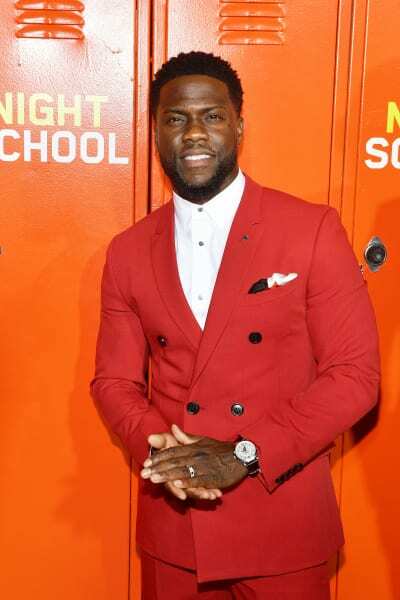 While the actor later apologized for the comments, he stood firm in a statement via Instagram earlier on Thursday in which he said he "passed on the apology" after being given an ultimatum from The Academy. “I have made the choice to step down from hosting this year’s Oscar’s [sic] … because I do not want to be a distraction on a night that should be celebrated by so many amazing talented artists,” he said. I'm sorry that I hurt people," he said in a follow-up tweet. "I am evolving and want to continue to do so. My goal is to bring people together not tear us apart. Much love & appreciation to the Academy. I hope we can meet again." Just hours before the above tweet, Hart released two video on Instagram which certainly made it seem like word of his exit from the lucrative post was imminent. It's been a tumultuous week for Kevin for sure. He was confirmed as the host of 91st Academy Awards on Tuesday, and eagle-eyed viewers of his social media account picked up on a number of posts from his social media past. 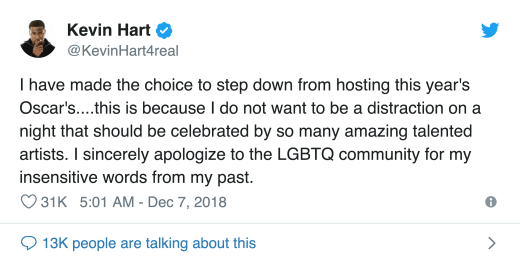 In the aftermath of it, Buzzfeed News revealed that Hart was deleting the posts dating back to 2011.